October is here already and I've had another change of direction for this month. I thought that once each week I'd share a walk down memory lane with some photos from my childhood and some from now. I read a prompt from Denyse Whelan's blog last month on "My first car" and it made me smile as I remembered the early days of having my first car, and that led me on to other "firsts" and before I knew it I had enough to keep me going for the next few months! I was planning on just doing the first and last of different aspects of my life, but there were a lot of times when there was a "middle" that was relevant too - so most of these posts will have have a few extra pictures that tie in with the day's theme. I also had several interesting reminders of the fact that I am older than the internet (a sobering thought at the best of times!) This happened a few times when I didn't have a picture of my "first" - for instance I have no picture of my first car - so I thought "I know, I'll Google it!" but there aren't a lot of pictures of things from the 1970's (yes I'm that old) and fewer still of things that are relevant to me from that time. So, sometimes I've had to fudge the lines a little to give a general idea of what I had as my "first" but most of the time there are pictures from my younger days - some in black and white (another sobering revelation) because colour photos didn't come out until I was in my teens. 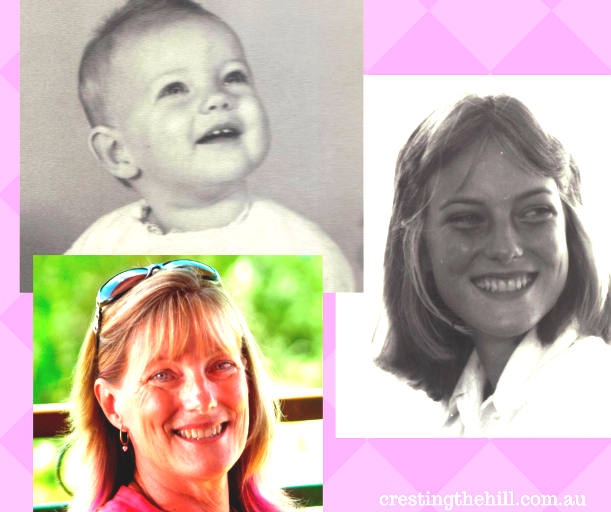 To kick things off I thought I'd go right back to the beginning and do a first and last photo of me - and who better to share it with than my Mum - she was there at the beginning and is still on the scene today - sharing my life and one of my blog's biggest fans. 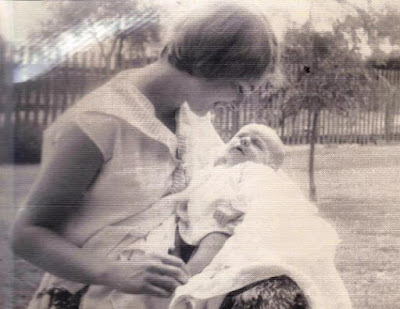 This is me as a fairly new baby with my VERY young Mum - she was 19 when I was born and looks fabulous in every photo she's in - very daunting when your mother is more photogenic than you are! So there you have it - the beginning, middle and latest (not the last by a long shot) of my Mum and me - and there's lots more fun things to come in the months ahead. I'd love to see pics of others as babies with their mums and seeing you can't leave them in the comments, feel free to pop over to my Facebook page and add one into the comments section in the the link for this post. Your blog bought tears to my eyes. Ah memories. You are and will always be my favourite daughter. Times were very different to now. Most of my friends were married at 19 or 20 and we started our families straight away, often because we had to resign from our jobs if we worked for the government as I did, also it was nice to be a young mum to relate to our littlies. I'm glad you enjoyed it as much as I did Mum - putting it together was a lovely walk down memory lane - and the last pic is definitely not the last one we'll be having together! One of my daughters just had her first baby, and that has put me on my own trip down memory lane. I've been thinking of my early marriage and bringing each of my children home. It's good to look back and remember how we were and the journey we've made. I think sometimes we get so focused on "what's next?" we forget how far we've come and how much we've grown, changed and learned. That said, I'm going to add some Beatles songs to my playlist for today! I've really enjoyed looking back through the photo albums Melody - it's something I don't do enough of and it was lovely to be reminded of my teens, 20's and onwards, love, dating, babies, just so many memories to treasure. It's amazing how quickly time flies isn't it Teri - our little granddaughter is 18 months old and it only seems like yesterday that her parents were getting married! I LOVE this! I spend most of my time talking about 'firsts'. This post was perfect! Love this Leanne. You and your Mom are such a pretty pair... at any age! That was a beautiful post to read and view! Loved the idea of it too. Sometimes I wonder we don't alwasy realise what is a last and I try not to have regrets. In fact, next week's prompt is "Any regrets?" LOL. Lovely photos Leanne. To be treasured I say!! 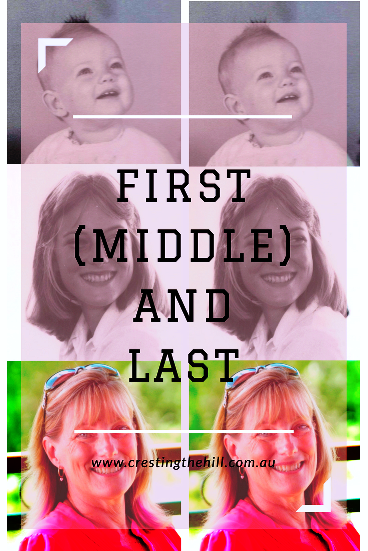 Thanks so much Denyse - and it was your post from a few weeks ago that got me thinking about all the first, middle and lasts in my life - what a bonus! Your Mom is gorgeous, Leanne! You are both very photogenic. Such a beautiful post! She certainly takes a great photo Donna - I just have to learn how to not grimace at the camera and I'll be on my way to being photogenic! I was the first born in the family and they always merit the most baby photos Jo - my husband was Number 3 and he says he can count on one hand how many childhood photos he has! Thanks for your kind words Lyndall - I hope Mum comes back and reads the comment section - she loved being featured and would be chuffed to read the compliments! What a shame to have lost all your baby pics Kathy - I'd loan you some of mine (there seems to be a lot of them because I was the first in the family!) but I think people would suspect it wasn't you :) My mum and I are quite similar - but she is more outgoing than me - I'm working on upping my social skills though. You both look fabulous, and wow you really did look like sisters in the middle photo - LOL! What a lovely post, and so great to reflect on special times spent with your mum too. Mum certainly held her age well Jo - especially in that middle pic! I feel like she could have been my younger sister when I look back at some of those photos. I've spent more time with my mother since making my seachange and living in neighbouring towns. We annoy each other sometimes and couldn't spend TOOOOO much time together but I see her weekly (and more now I'm working in her hometown) and it's nice. I remember when I lived 'elsewhere' for several decades I'd occasionally feel melancholy when I'd see obvious mothers and daughters doing stuff and wish I had that opportunity. There's nothing like spending time with your Mum is there Deb? I've come to appreciate my mum more in the last few years and I realize how valuable our relationship is and to treasure the times we chat or hang out. What a great idea! I need to dig out some pictures. 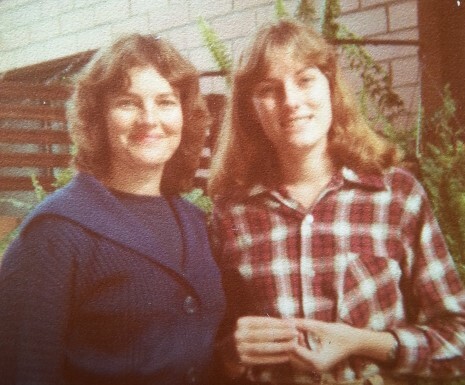 My mum was also youngish (21) when she had me. Next time I visit her house I'll dig through the albums. That photo of you guys in the "middle" phase is amazing. I actually can't pick who is the mum and who is the daughter. Incredible. She certainly aged well didn't she Leanne? I'm hoping I've inherited some of those genes - but I didn't start my parenting until a few years later than her so maybe that's why I didn't still look like a teenager when my daughter was 18! Thanks Candy - it was fun digging through the photos to find these - and Mum really enjoyed seeing them too. What a FUN series, Leanne! I love these pictures of you and your mom. She is beautiful! As for being as old as the internet, yes, that is sobering. Almost as bad as googling "vintage formal dress" and seeing pictures I wore to my prom!! I'm doing a post a bit later down the track that includes the dress I wore to my Formal Wendy - it was certainly nothing like they wear these days - the 1970's are the dark ages for the internet archives! What a fun idea! I'm with you in regretting I don't have digital photos for about the first half of my life. I as born in the 1940's and have to scan anything from before the early 90's when I first jumped online. I've had to scan a lot of my pictures too Barbara - it's so different to the photos we take now days that automatically back up to Google and are on our phones a laptops. Still, it makes me treasure my old photos more because there aren't that many of them! What a fun post! Your mom is very photogenic! Thanks so much for linking up with me! Yes she's always taken a great photo Amy - I'm nowhere near as confident in front of the camera as she is. I enjoyed seeing your then and now pictures. You looked great then and still look the same today! I don't have a lot of pictures from the 70's either- I was camera shy and so unconfident then (and now) and never wanted to have my picture taken! I hated having my photo taken Michele (still do for that matter) and there are very few pictures of me kicking around - quite a few from my early childhood and then big gaps after that I'm afraid. I wish I'd been more self-confident too. Thanks for sharing you clearly have a special relationship with your mum. Thank you ladies for all your flattering remarks. I do enjoy my mother/daughter lunches and chats either by phone or in person. Yes, Leanne and I have grown closer as the years have flown by. 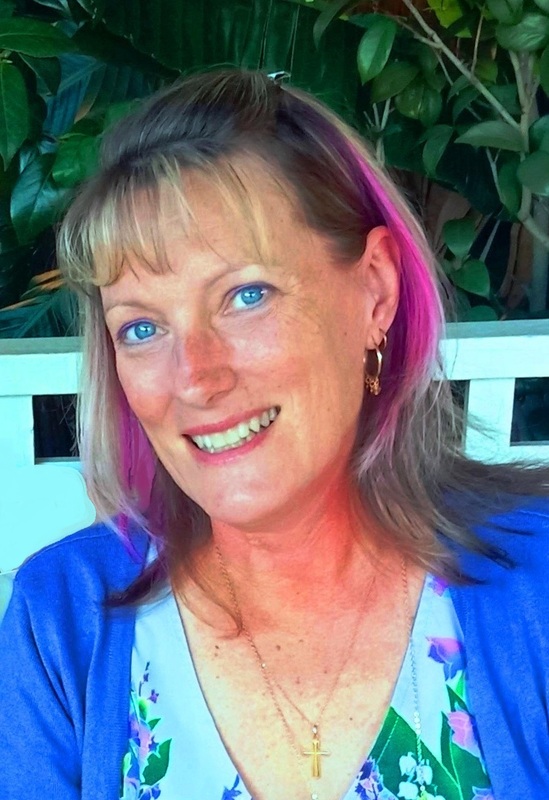 I enjoy time visiting her in the country and listening to her trials and tribulations of her work situation and thoroughly enjoy reading her blogs, especially the ones that I get mentioned in!